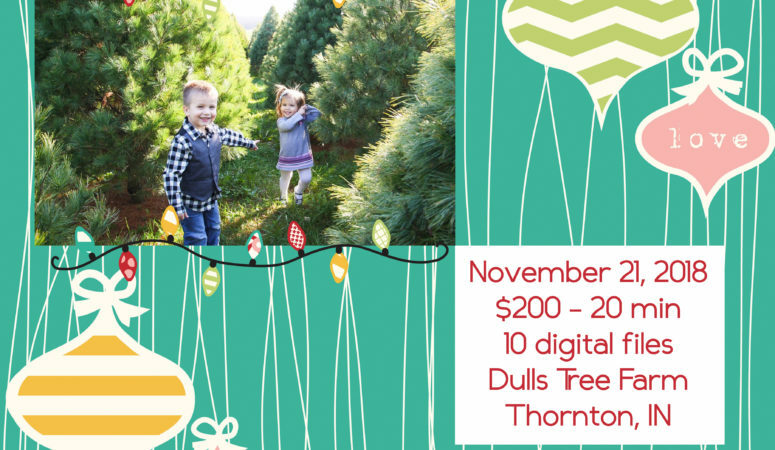 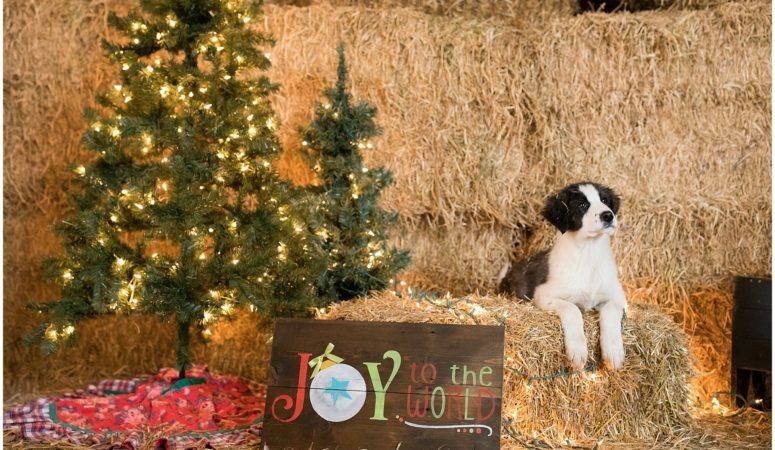 Dulls Tree Farm Holiday Mini Sessions November 21, 2018 $200- up to 5 people ($25/additional person) Includes 20 minute session and 10 digital files delivered electronically Register here: https://calendly.com/raindancerstudios/dulls-tree-farm-holiday-minis/11-21-2018 Check out these cute pics of Mr. & Mrs. Dull kissing under the mistletoe on their tree farm several years ago!! 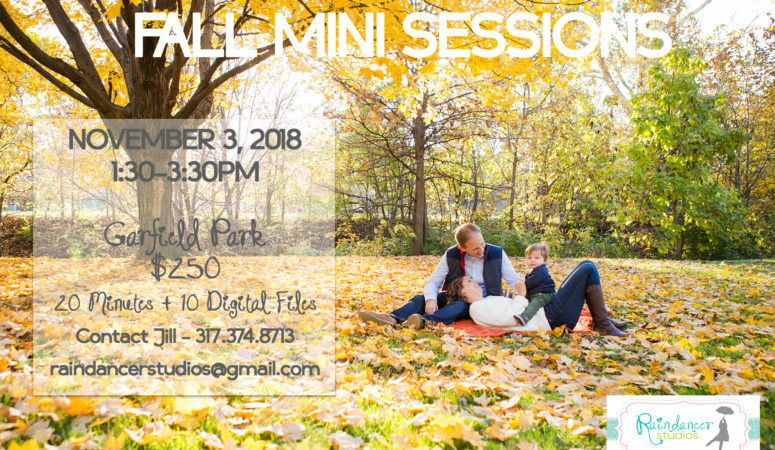 Indianapolis Fall Mini Sessions for 2018! 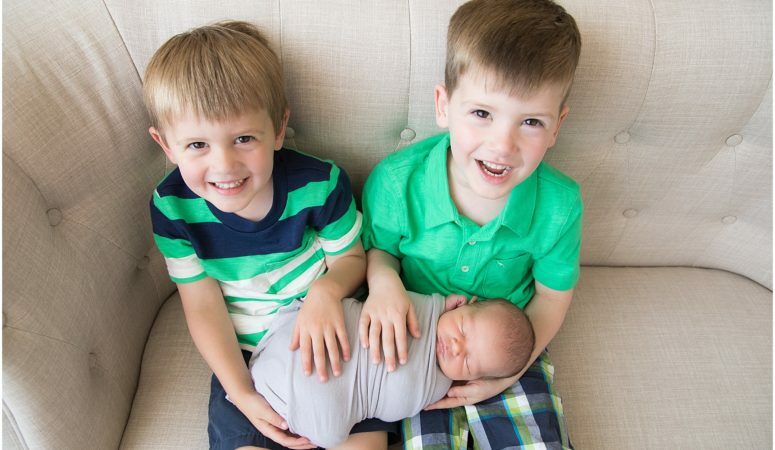 Fall Mini Sessions Announced! 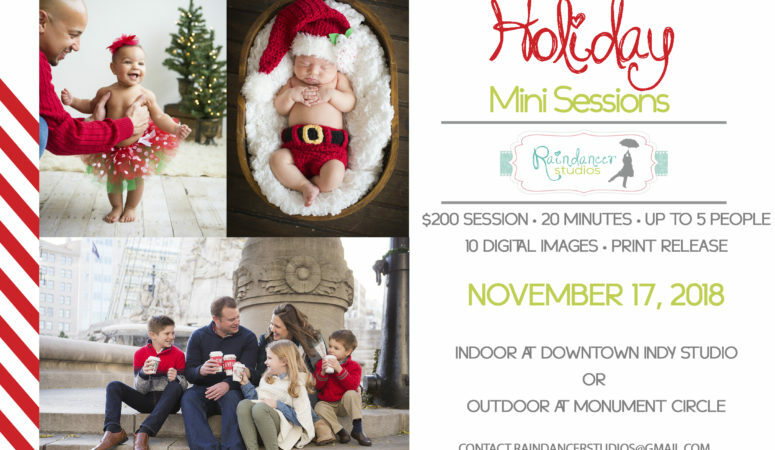 20 Minute Session + 10 Digital Files up to 5 people Garfield Park – Indianapolis, IN Saturday, November 3, 2018 CLICK HERE to reserve your mini session date and time Contact Indianapolis Family Photographer, Jill Howell, on the contact page, at 317-374-8713 or by email at raindancerstudios@gmail.com with any questions!